Home / Blog / Grad Schools / A Guide for Potential Grad Students: Should You Go To Graduate School? Are you considering going to graduate school? Are you aware of all your options and what a graduate program involves—financially, mentally, and emotionally? Entering a graduate program is an important decision that will affect your life for 2-3 years and should not be taken lightly. Understand the pros and cons, how you’ll pay for tuition fees, whether you have the stamina and discipline to get through, whether you have the emotional and financial support, and what your prospects are post-graduation when tuition loan interest is mounting. What about online graduate programs? How much is graduate school really costing you? In some disciplines, having a graduate degree is a necessity for getting a “career” job. That does not mean you should dive right in immediately after completing your undergrad degree. Just make sure you have a good reason for going. Some of the reasons below are more valid than others, but they are all common reasons for which people attend grad schools. 1. Greater earning power. This is a popular reason why people go to grad school. However, it should not be the only reason, since getting a grad degree is a very serious commitment. 2. Advance your career. A grad degree can open up a wider array of career opportunities: in psychology, social work, healthcare, for example. 3. Career change. Many people are finding their current careers unrewarding. An advanced degree can help transition to another career—whether out of desire or necessity. 4. Enhance your education. Graduate schools can provide opportunities to explore theories you may have about a topic. 5. Get community recognition. If you explore your theories and discover something new, you will get recognition for it. 6. Get international recognition. Carry that recognition further. If your discovery is truly groundbreaking, you may receive international recognition, not to mention awards. Who knows? Maybe you have a Nobel prize within you. 7. Get research opportunities. Even if you do not get to explore your own theories, there are other opportunities to participate in funded research. 8. Upgrade your education. Your knowledge of your field is outdated and you find it difficult to keep up with advancements without following up and getting an advanced degree. 9. Enjoy travel opportunities. Some programs, such as archaeology, require studying abroad for research purposes. For those who like to travel, this is a bonus. 10. Find teaching opportunities. Not everyone is suited to teaching, but for those who are, getting a PhD can lead to a tenured position at a university or college, with a nice salary, a teaching or research assistant to help with workload, consulting opportunities (partly shared with your department), and a nice pension upon retirement. 11. Work on advanced projects. For example, the computer scientists who delved early into computer graphics set the standards for much of the CGI technology used in movies today. 12. Access to advanced equipment and tools. In a similar vein, entering a grad program could mean having access to advanced equipment on campus—such as the astronomy lab, supercomputers, rare books, and even great minds. 13. Higher potential for future promotion. While obtaining a graduate degree does not necessarily always lead to a high-paying job right away, it can open up opportunities for future promotions. 14. Not being stuck behind a desk. If you have the necessary education to qualify for a high-ranking position in your chosen industry, it means that you often have the option of not sitting behind a desk all day. You might go meet colleagues or clients, travel, or even play golf in the afternoon on a nice day. 15. Employer incentives. Some large corporations have funds set aside that will pay partial or full fees for qualified employees. 16. Be part of a chain of knowledge. This doesn’t tickle everyone’s fancy, but just imagine that the knowledge handed to you by your professor came from another professor who learned it from someone who learned it from a famous scientist or philosopher. You become part of a chain of knowledge. 17. Because you want to. To learn, to think critically, to accept the academic challenge. 18. To stand out. By attending grad school and completing a degree, you join an elite segment of the population. 19. Free tuition. In some cases, grad schools might not only waive your tuition, but also give you a stipend for living expenses in return for taking on the work of a teaching assistant or research assistant. 20. Realization of interest. Not everyone realizes during undergraduate studies that they are suited for grad studies. Some of your professors might recommend it to you and offer to supervise—with tuition waived and a research assistant position to cover expenses. Now for the flipside. Completing a grad degree has many rewards, as indicated above. However, there are also many reasons not to go. 1. Highly competitive. Graduate programs always have fewer spots than undergraduate programs. There’s competition for seats, research positions, grant money, and often as a result, departmental politics. 2. Enables the “professional student” mindset. Some students just don’t want to leave school. One of the reasons for this is said to be a fear of going out into the workforce. 3. Requires ability to set priorities. Successfully completing a grad degree requires a great deal of discipline and priority setting. This can be a strain on family and personal relationships, not to mention yourself. 4. Relationship strains. If you’re married, housing might be an issue. You might be offered a grad/research assistant position and free tuition but no accommodations for your spouse in campus housing. 5. Stressful. Emotionally exhausting. Completing a graduate degree, especially a PhD, requires emotional maturity. 6. Writing a thesis. Some grad programs require writing a thesis on a topic that your degree supervisor picks out for you. Writing an original thesis is not easy compared to course work, and it is often the reason grad students take a lot longer than program duration. Each semester you delay might mean a “penalty” fee in the form of extra tuition that has to be paid. 7. Requires support. You might need a strong support network to get through emotionally. 8. Might take 2–7 years of your life. Not everyone finds they can complete a grad degree in the typical 1 or 2 years. Personal obligations often intrude or lack of finances makes it difficult. Or your supervisor doesn’t like your research. This doesn’t even factor in the costs and how long it might take to pay back loans. 9. Extra cost of education. Graduate schools can be very expensive. If you are not going to work during your studies or will not receive an assistant job and waived tuition fees, the cost of your education is going to mount. 10. Graduating with a large debt. This state of financial affairs might push you into accepting any job after graduation out of necessity. 11. No guarantee of higher salary. Getting a grad degree does not necessarily mean you’ll get offered a job with a much higher salary than you are getting now. 12. Return on investment might be slow. Even with a higher salary, how quickly will that offset tuition loans and the negative cash flow due to not earning while studying? 13. Limited job opportunities. If the degree you get is in an academic field, finding work outside of teaching or research may be difficult, and thus, not necessarily worth it to you. 14. Undesirable job locales. Teaching positions offered after graduation could be in areas you simply don’t want to live in. If you are determined to go to grad school, consider spending a few years getting relevant work experience first. You could take the time to save the money for tuition and expenses, which would allow you to devote dedicated time to a degree. Or if you’ve built up trust in your employer, they might foot part of the tuition and give you time off each day to attend to studies. All this allows you some peace of mind, which might be what you need to succeed in grad school. 2. Coursework and a special full-term project. 3. Coursework and the writing and presentation of a thesis. Grad programs that are designed to put you into the workforce tend to lean toward options #1 or #2. If a specific discipline’s grad degree is coursework only, there’ll be a heavier course load than for other programs. Projects are usually done alone, which means that you’re not at the mercy of an under-contributing partner. Programs that prepare you for teaching typically lean toward option #3, and there’s no guarantee that your thesis presentation will succeed the first time. (Which is why it’s always worth trying to get your thesis done as soon as possible, leaving time for revisions and presenting again.) Doctoral programs nearly always come under option #3. Graduate programs can be incredibly demanding, but if you find the right one and attend for the right reasons, as described above, they will be rewarding. If you have a family and a full- or part-time job, you’ll have a lot of demands on your time. Here are some tips for balancing your grad life. 1. Hoard your contacts. Don’t burn bridges with undergrad professors. Ask your favorites for recommendations. Such contacts might later provide some moral support during difficult academic times. 2. Determine your workload. Ask professors and current grad students how much time per week they expect you’ll need to devote. Then add 20–30% as a safety factor. Can you handle this along with all the other demands on your life? 3. Have reliable transportation. Having your own vehicle reduces the amount of time you’ll spend in transit—which is more valuable in this case than what it’s costing you for gasoline, insurance, parking, etc. Alternately, is city transit reliable enough and are monthly passes affordable? 4. Live on or near campus. If you cannot or do not want a vehicle, consider living as close to campus as possible. Apartments for married students might also be available for rent. 5. Determine a long term budget. It’s not enough to ensure you’ll have funds for the first semester of your program. Will you have enough for the entire run? Will a source of funds be available later once your current savings run out? If you are not working full-time, do you have an offer for a grad assistant/ research job from your degree supervisor? 6. Work first, play later. Grad students do not necessarily have to give up all forms of entertainment. However, only you know what your priorities really are and what they mean to you. 7. Garner emotional support. If you have a family and do not have their emotional support, it will be very difficult getting through a grad program. This includes, but is not limited to, them respecting your study time. 8. Define time boundaries. Ask family and friends to respect a schedule that you post — say on the kitchen fridge. These are times when you are not to be disturbed unless there’s an absolute emergency. Make sure to define, especially to children, what an emergency entails. If you have a significant other, they must help enforce these time boundaries. 9. Exercise. Regular physical activity not only keeps you in shape and gives you the stamina you will need, but adrenaline pumping through your body perks you up. It’s hard to stay in a funk if you exercise regularly. 10. Meditate or pray. When all else fails and you’re stressed out, consider prayer and/or meditation. Both calm you down and relieve stress. Depending on the program and school you choose, getting a grad degree can be costly. 1. Scholarships and grants. Look into scholarships and grants that the government, corporations, or private organizations set aside for various types of qualifications (war vet, single parent, cultural member, etc.). 2. Grad assistant positions. Many universities receive a certain amount from the government for each grad student they accept, and as such, they will often waive the tuition fee and sometimes offer living expenses via a part-time grad assistant position. 4. Employer education programs. Some large corporations set aside funds to pay partial or full tuitions in the pursuit of advanced education by qualified employees. 5. Employer salary advance. Companies that cannot afford to foot the bill might offer an interest-free advance on salary with certain conditions in place. 6. Family loans. Have wealthy parents or other family members? Maybe they can lend you tuition and expenses in return for completing certain milestones in your grad endeavors. 7. Insurance scholarships. Some insurance companies offer a policy that can only be applied toward college/university tuition. Unfortunately, you or your parents need to have the foresight to sign up years before you need it. The drawback is that there are often multiple conditions to meet, and if you don’t, you could lose the payout. 8. Credit cards. Credit cards with 0% APR are still being offered by financial institutions. If you’re careful and clever, it is possible to juggle the balance from one card to another when their offer periods run out. However, this is a dangerous and potentially stressful approach. Credit card debt is already fairly high on average. If you get tempted to spend the money on other purchases and/or miss payments, the financial repercussions can be huge. 9. Personal line of credit. While getting a 0% APR credit card does require good credit, having really good credit can get you a personal line of credit from your bank at reasonable interest rates. Unlike 0% APR credit cards, lines of credit rarely have time limits on them. Online grad programs, where most of your coursework can be done remotely via the Internet, do exist. Make sure that you choose an accredited program. An online degree often has as much credibility to an employer as many bricks-and-mortar degrees—often without the huge cost, time commitment, and stress. Some of these require a short-term residency on campus (or nearby), during which time you either write exams in person or present your thesis (Masters or Doctoral). Naturally, online grad programs cannot be offered for all disciplines, but if you are an adult student with many demands on your time, an online degree might be worth considering. Many of these offer more time leeway for completing the program. This simply means that you don’t have to quit work nor ignore family and friends as much as you might have to otherwise. 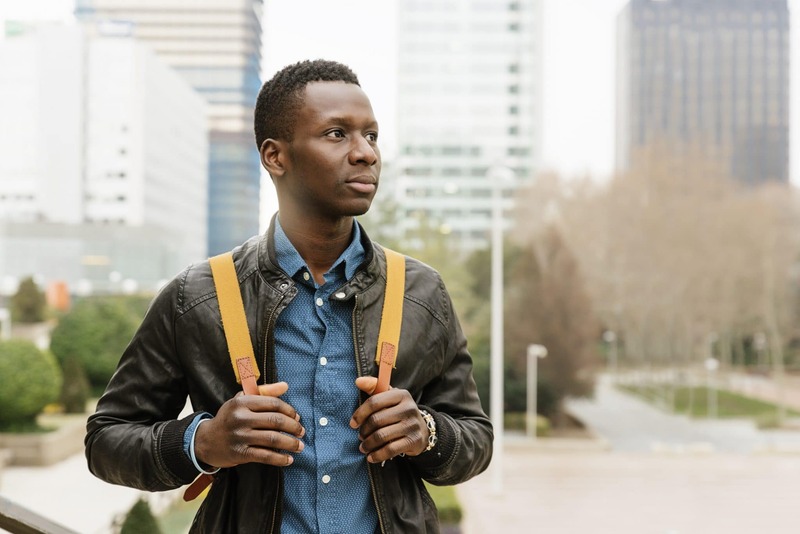 Depending on the specific area of study that you choose, getting a grad degree does not guarantee that you’ll financially recover shortly after graduation. This is best explained with an example. Note that the following are not necessarily real numbers. 1. Salary before entering grad program: $30,000. 2. Duration of grad program: Officially two years, but you may find you need an extra year, which might cost you a “penalty” amount depending on the number of extra semesters you need. 3. Cost of tuition: $50,000 total for two years, plus any penalties for extra semesters. 4. Cost of education: Assuming you’re not working during your studies, you’ve lost any earnings from work aside from what you might receive if you manage to get a paid grad/research assistant position. 5. Cost of living: For the sake of argument, say that rent, food, gas, car payment, insurance, etc., is costing you at least $1,500/month depending on your specific situation. That might or might not be covered with the earnings from an assistant’s position. Let’s say it’s not. Then the cost is 3 yrs x 12 mths/yr x $1500 = $54,000. 6. Salary after graduation: $60,000—double what you previously made. So what has this cost you? You’ve either paid out $50,000 in tuition (maybe more) or owe it in loans plus interest. And you’ve lost 3 x $30,000 in earnings = $90,000. Plus you’ve spent $54,000 in living expenses. In essence, that’s a cost of $194,000 plus interest. How long will it take you to recover that $194K at your new $60,000/year salary? Keep in mind that that $60,000 will incur income taxes, and it has to pay for your living expenses post-graduation. Is it worth it to you? Ultimately, you have to decide on the reasons why you want to pursue a graduate degree and whether it will be worthwhile financially. If doing so opens up greater opportunities in a few years, then it might just be worth it. If you plan to enter a career where a grad degree is a necessity, then it’s also worth it, long term. Simply put, you cannot assess the value of getting a grad degree on a short-term basis. Need help getting started on your grad school search? Search by location, major, admission difficulty, and more with Peterson’s Graduate School Search.